… not all Kabubbu parents are likely to ‘stay the course’ for their Kabubbu Kid when it comes to keeping them at school. You may have gathered that life in Kabubbu can be very fluid and very hard. And there’s no such thing as free education. As part of the great care taken to ensure Kabubbu Kids not only start their sponsored education but stick with it, the Kabubbu Development Project (KDP) insist that parents demonstrate their commitment by paying school fees initially. When you’re living on a few Ugandan Shillings or nothing, the money required for schooling is a huge stretch for impoverished families, often a single parent or grandparent. So, when you see a child in uniform on our pages and wonder ‘why are they asking for sponsorship when the child is already at school?’, now you know! Bright and smiley they may be; impoverished and struggling they most certainly are. 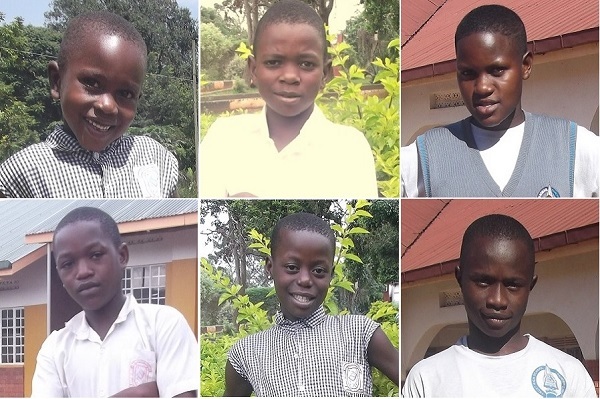 Could you sponsor one of these #KabubbuKids? Their parents have passed the first hurdle and the entire family is hoping you’ll support them to help themselves.